For many gardeners, it’s hard to picture a world without tomatoes. These productive plants steal the show in many backyard gardens with their wide variety of shapes, colors, and flavors. While the Aztecs grew tomatoes since before 700 A.D. they were not known internationally until the 16th century. Even then, they were regarded with some suspicion as a colorful member of the nightshade family. It’s amazing how quickly they’ve become important worldwide. 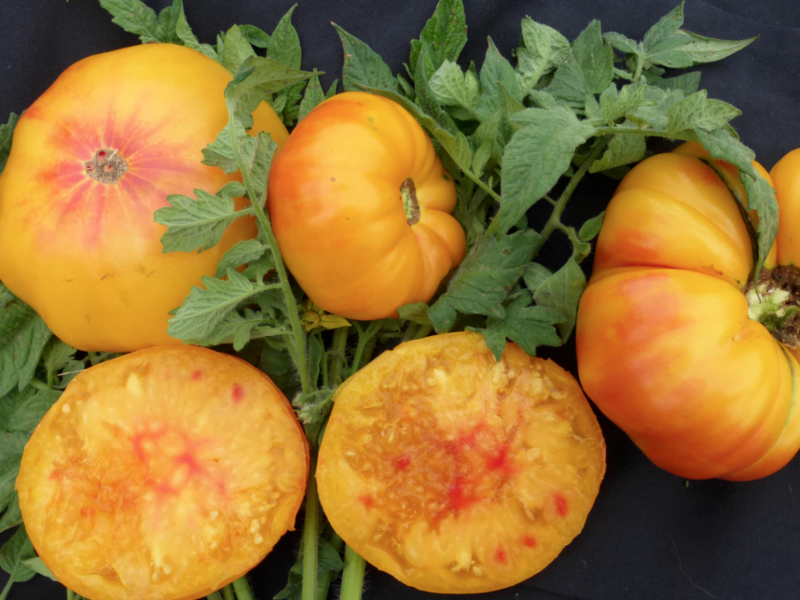 If you struggle with blight and other diseases wiping out your tomatoes before you get a proper harvest you may want to consider planting a few disease-resistant varieties. Transplanting tomatoes properly is a little different from many other vegetables. Rather than bury them at the same depth as they were in the pot you can bury them deep enough to cover their bottom set of leaves. You’ve probably noticed how the bottom of a tomato stalk is covered in little bumps. Those bumps are nodes which send out roots when they’re covered in soil. Burying them deeply so they can quickly produce more roots will help your plants thrive. Set up a large, sturdy trellis. 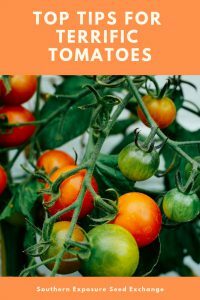 Store-bought tomato cages may be sufficient in far northern climates or for some determinant varieties but for the most part, especially in the southeastern United States, your tomatoes will quickly outgrow them. Many people opt for the “Florida weave” technique pictured above which requires stakes and twine. Another great option is cattle panels. Tomatoes are heavy feeders and providing them with plenty of nutrition can help them do their best. Add a scoop of compost to the bottom of your transplant hole and watering them in with compost tea can help them do their best. Once they flower you can side dress them with more compost or water them again with compost tea. Using some sort of mulch around your tomatoes is highly recommended. It will help block weeds and ensure your tomatoes have good consistent moisture, needed to fruit. Often when people think of succession planting they think of crops with a single harvest like carrots and beets or a relatively short harvest like sweet corn. However, there’s no reason you can’t do it with tomatoes if you have a long enough season. At SESE we transplant some of our tomatoes as late as July so that we have a wide selection available for our August open house and the Heritage Harvest Festival in September. 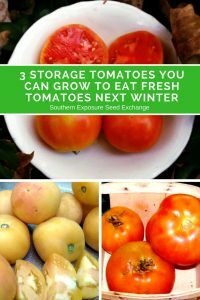 You can also grow storage varieties so that you have fresh tomatoes in winter too! Every plant comes with its own challenges and tomatoes are no different. These six tips can help ensure you get an awesome tomato harvest this year. Eating local comes with a plethora of benefits. When you eat from your backyard or even local farms you get healthier, fresher ingredients. You also lower your environmental impact because eating food from close to home saves tons of energy that’s typically used to transport and refrigerate food from all across the globe. But eating local can also be really tough. Most have us have become accustomed to having easy access to fresh produce whenever we want it. No matter how much we can, dry, and freeze during the summer months that fresh, grocery store produce starts to look really tasty each winter, even if we know those pale mealy tomatoes will never come close to our backyard slicers. While there’s no real replacement for sinking your teeth into a freshly picked tomato, still warm with the summer sun you can still enjoy fresh homegrown tomatoes in the winter. 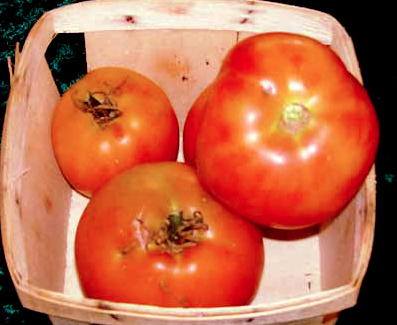 Southern Exposure offers three tomato varieties that are good for fresh winter storage. This indeterminate tomato is ready to harvest in just 73 days. If harvested green just before the frost the Garden Peach is an excellent storage tomato. It also has outstanding flavor, vigorous vines, and is split resistant. Though it’s quality doesn’t quite match a fresh, summer garden tomato most find it to be superior to supermarket tomatoes. Plus it allows you to eat fresh, local food well into the winter. Some customers even report storing Long Keeper for 4-6 months! 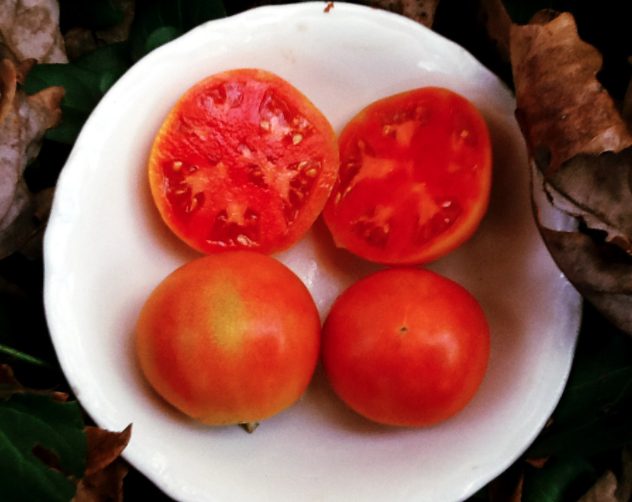 The Long Keeper is a semi-determinate tomato that’s ready to harvest in 78 days and ripens 6-12 weeks after harvest. The Reverend Morrows Long Keeper is a determinate Louisiana heirloom. It’s 83 days to harvest and has good storage qualities. If you intend to use any of these varieties for winter storage it’s best to plant them in late spring or midsummer depending on how long your season is. You should plan to be harvesting them just before your first frost if you want them to keep into winter as long as possible. Once harvested these tomatoes should be stored at room temperature with air space in between each tomato. They won’t last as long if they’re touching. Only unblemished tomatoes should be stored. 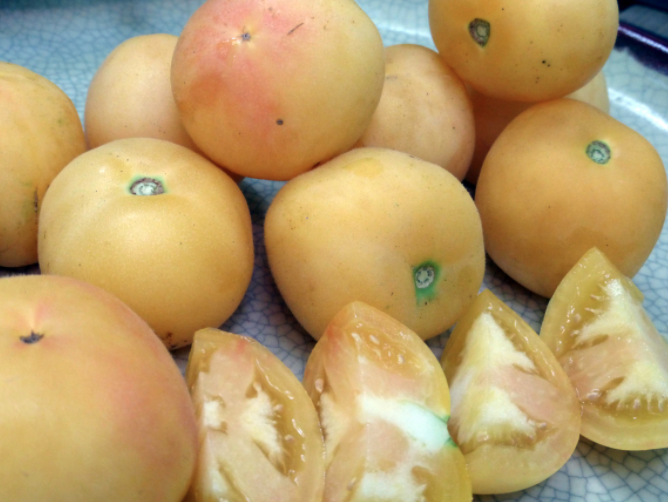 You should also go through the tomatoes weekly to check for ripe ones that can be used and remove any that are rotting. Adding one of these awesome varieties can help you add more local food to your diet on a year round basis. They’re well worth a little extra effort! In my dreams of a picturesque garden there are always trellises. They may bring to mind quaint little fairy tale cottages, but trellises aren’t just for their good looks. There are so many plants that can be grown on a trellis and so many reasons to grow them that way. Want to grow more vegetables in little spaces? Grow up! One of the easiest ways to make the best use of small garden spaces is by growing plants on trellises. 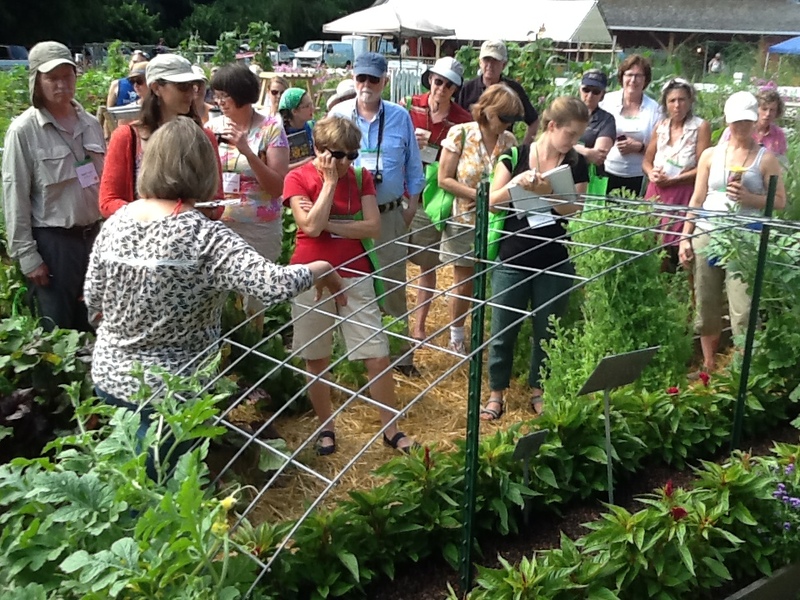 Plants like pole beans are extremely productive and can be grown in narrow rows if trellised. Trellised plants also use less water. Instead of watering an entire sprawling plant you can just water the base where the plants roots are located. 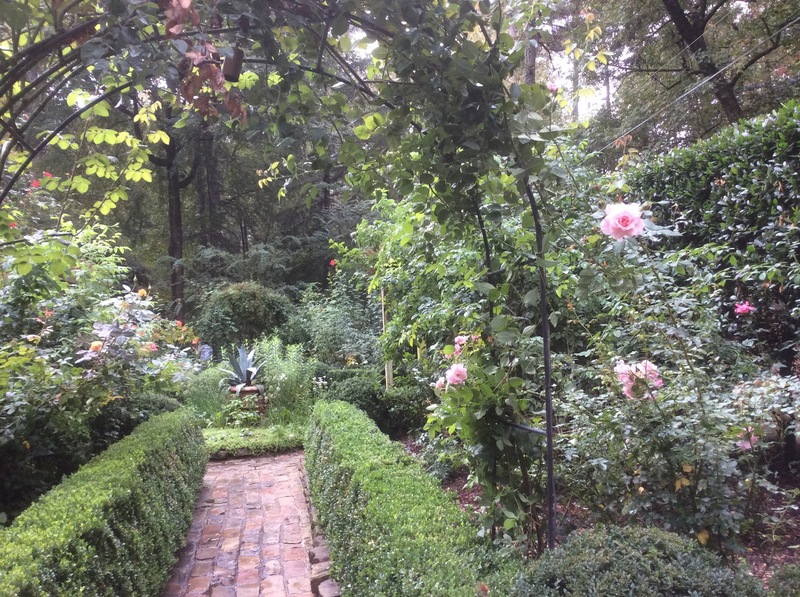 Adding structure and height to a garden is often done to make gardens more beautiful. but there are other benefits too. Song birds will appreciate having places to land in your garden and they can help control insect populations. Having the plants up off the ground also increases air flow and can help minimize plant diseases. Trellising plants can also help you add much needed summertime shade. A vining vegetable crop like cucumbers can be grown on a slanted trellis above a bed of a cool weather vegetable like lettuce, thereby helping you to grow a late season crop. Deciduous perennials (those that drop their leaves in the fall) can be grown on trellises on the southern side of houses to shade the home in the heat of summer and let the sun through in the winter. Some plants, like pole beans, gourds, and flowers like morning glories, have such long vines they can easily cover small structures (like teepees) making excellent summer forts for kids. Trellised plants are easier to harvest. 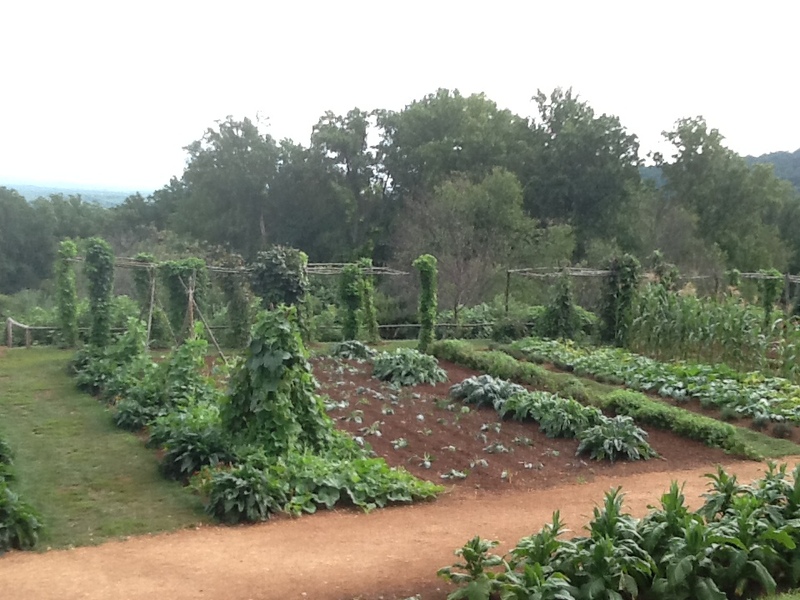 Vegetables on trellises also tend to be easier to harvest. Instead of searching through a sprawling jungle of squash plants, you can easily spot them hanging from a trellis. Plus there’s little or no bending over. The fruits also tend to be cleaner and more uniform, perfect for market growers. Many plants do well on a trellis and some require one. Below are some of the vegetables, flowers, and perennials that make ideal candidates for trellising. How do I make a trellis? There are tons of trellis designs and it can be hard to choose. The major deciding factors will be your garden’s style, your budget, the materials you have on hand, and which plants you plan to trellis. Trellises can be whimsical, practical, or a mix of both. They can be shaped as arches, forts for children, or simple fences. Many people choose to make simple teepees like these which can be made from bamboo, straight saplings, or branches, and held together with twine or wire. There are also many different shaped designs using the same materials. Hog panels or sections of wire fencing are another popular choice. Hog panels and sturdier fencing can be used two ways: as a fence or bent over as an arch. Purchase or build trellises from lumber. If you have money to purchase trellises or a knack for woodworking, there are designs for folding trellises that can be stored each season as well as more creative designs. You can also install large trellises in front houses or over patios. Some people also repurpose old junk into awesome trellises. Things like iron bed frames and gates, old umbrella frames, and old antennas are great for climbing plants. When designing any trellis it’s important to think about what you’re growing. Is it a permanent trellis for a perennial that will be in the same spot for years or something you’ll want to rotate next year? You’ll also need to decide on the size. Obviously pea plants require smaller trellises than grape vines. Some plants, like pumpkins, melons, and larger squash varieties, will need sturdy trellises to support the immense weight of their fruit. How do I trellis plants? Some plants (including morning glories, beans, and cucumbers) are easy to trellis. Simply sew seeds next to a trellis and they’ll do the work. Some plants, like tomatoes, need a little help: they need to be manually trellised. 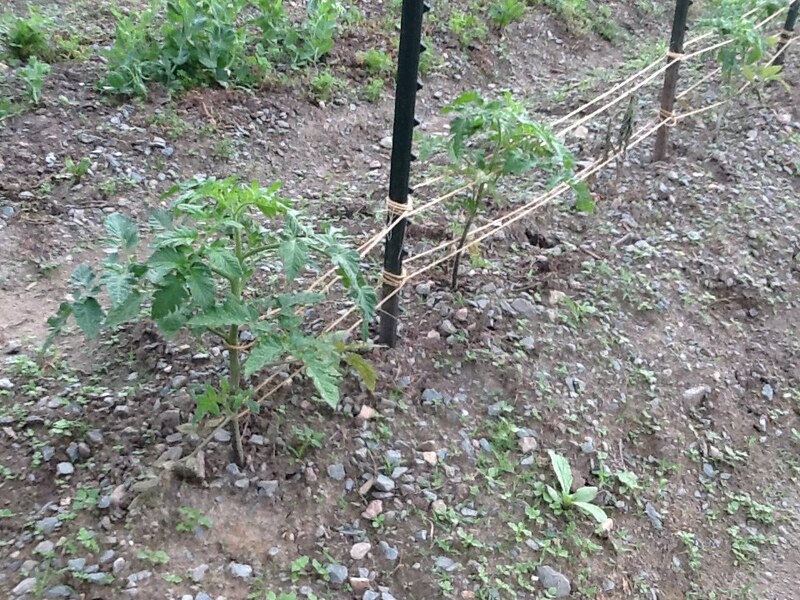 You can use tomato-specific trellis methods like the “Florida Weave” which surrounds the plants with twine. Or use traditional trellises and attach plants with tomato clips or even old scraps of fabric. Just be sure that your method does not cut into the plant as it grows. For some large-fruited plants like pumpkins, melons, and large squash varieties, you may need extra support. You can create small “hammocks” for each fruit from an old shirt or other stretchy material that can be tied off to the trellis as the vine cannot support the fruit’s mature weight. If you’re ready for a super productive and beautiful garden this year it’s time to get some trellises ready! The best time to add trellises is before planting, not after, so don’t delay! It’s finally spring and setting up trellises is a great way to get out in the garden. What plants have you grown on a trellis?